Born in Castellammare di Stabia, Naples, in 1974. Graduated from University of Naples in 1999 with a degree in alimentary technology science. Research focused on the indigenous vines of Campania, microvinification, and the aromatic qualities of Greco, Fiano and Falanghina (three of the region’s great varietals) at Campania’s winery linked to University of Naples. Lived and worked in Burgundy, France, in the year 2000, as researcher at France’s renowned National Establishment for Higher Education in Agriculture at Dijon, developing knowledge about Chardonnay’s flavors. In Dijon attended DNO (Diplôme National d’Oenologue) as an enrolled student. In 2001 received specialization in oenological and viticultural science, with works published in J.A.F.C. (Journal of Agricultural and Food Chemistry). That same year, joined Mastroberardino as chief winemaker until 2006. Used innovation to create authentic Campania wines in an expressive, modern style while respecting traditional use of Campania’s vineyards. Developed managerial skills leading the winery’s 60-person team. During these years, working in Mastoberardino’s Winery, he obtains excellent results ensuring the production of wines from native vines of Campania, characterized by a modern style based on cleaning and full recognition of the varietal characteristics. The wines produced are highly appreciated by the critics of the sector (Tre bicchieri – Gamberosso, Cinque Grappoli – AIS, Super tre stelle – Veronelli, Vino frutto – Luca Maroni, Gold medal – decanter world wine awards, 19/20 – Espresso, Corona – Vini buoni d’Italia, etc..). 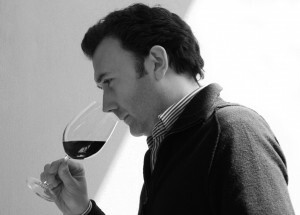 In January 2007, he leaves Mastroberardino company to begin the Wine Consultant activity. Actually he works for prestigious companies across the South Italy, getting, in a few years, many national awards. His philosophy is to consider the quality of a wine as a pure expression of the quality of the grapes and therefore focuses strongly on grape physiology minimizing the impact of technology. Its main objective is to increase its professionality through collaborations with Italian and foreign companies.